Famous Capri landmarks are the historic Clock Tower, Grand Hotel, Monte Salaro and the Santo Stefano Cathedral. Popular attractions on the Island of Capri include the Blue Grotto, Solaro Chairlift, Faraglioni Rocks and La Casa Rossa. The biodiversity on the Island of Capri is impressive. Enjoy its forests, cactuses, orange trees, lemon trees and an abundance of flowers. 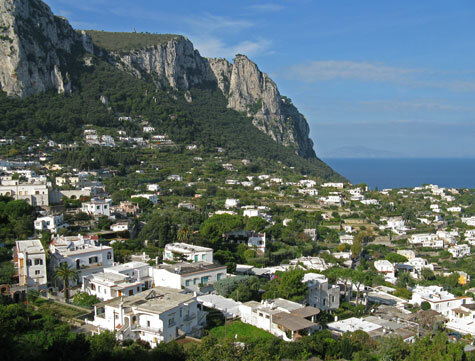 Most hotels on the island are situated in the Town of Capri and the Town of Anacapri. Ferry service to the Island of Capri is available from Amalfi, Castellammare, Ischia, Naples, Positano, Salerno and Sorrento.